Please join Suzanne Black, a Conservation Education Specialist from the Blair County Conservation District, for a Sustainable Wreath Making Workshop. Registration is required. 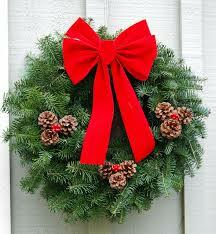 Cost is $15 if you need a new wreath ring, $10 if you have your wreath ring from last year. We will be using cuttings from a variety of evergreens, and decorations that have been donated. If you have extra decorations or bows you are no longer using please bring those to decorate your wreath or for others to use.